Shazam! is less than two months away and this promo reveals why fans should be hyped for Zachary Levi’s new DCEU hero. In about two months, fans will be introduced to Zachary Levi’s Shazam, who will headline the latest DCEU film to hit theaters following James Wan’s 2018 box office smash hit Aquaman. Shazam! will presumably feature less underwater battles but it will still remain in the fantasy genre, with Billy Batson (Angel Asher) turning into Zachary Levi’s loveable hero when he yells out the titular phrase. 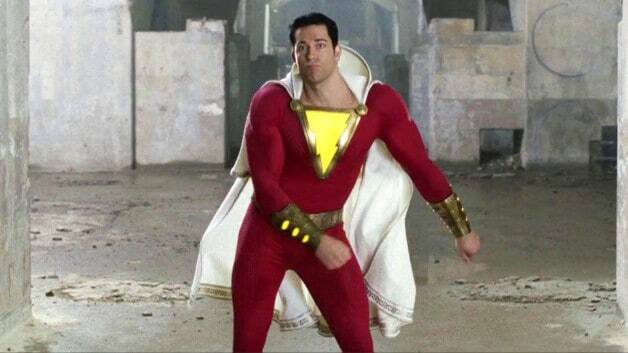 New footage has surfaced online from Shazam! via DC’s Japanese Twitter account, giving fans a couple of new scenes ftheheir upcoming film. See the fantastic international trailer for Warner Bros. and DC’s latest addition to the DC Extended Universe in the post below. 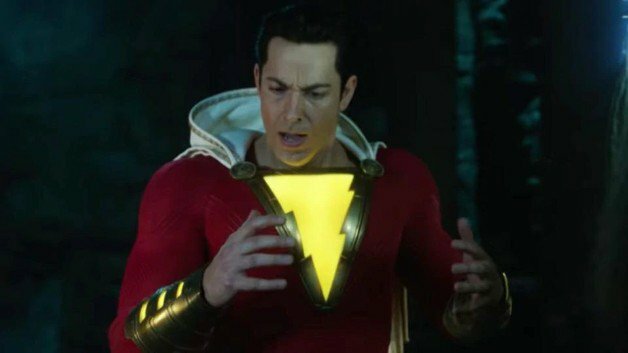 The new footage showcases some of Shazam’s cool abilities, from flight to super-strength and the ability to survive a gun shot. This movie seems to be touching on what it would be like for a teenager in this film’s infamously dark universe to receive the powers of his favorite superheroes. This is the aspect that really makes Shazam! attractive to many fans, especially the young ones, as seen in Zachary Levi’s childlike performance in the promotional material. The actor seems to bring a sense of magic, no pun intended, to the role of Shazam! and judging by his younger counterpart Billy, the childhood fun is going to glow through the screen. We’ll be sure to keep you updated on all news regarding Shazam! as soon as more information becomes available. What’s your opinion on the new footage? Let us know your thoughts in the comments below! Directed by David F. Sandberg, Shazam! stars Asher Angel, Zachary Levi, Mark Strong, Jack Dylan Grazer, Grace Fulton, Ian Chen, Jovan Armand, Faithe Herman, Cooper Andrews, Marta Milans and Djimon Hounsou. The film will hit theaters this year on April 5, 2019.